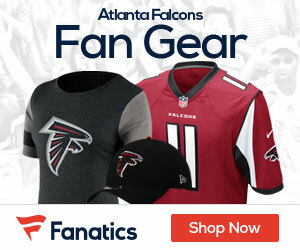 The Falcons will begin the season at Kansas City, then face Peyton Manning and the Denver Broncos in their home opener. The Falcons have four prime-time games on the schedule released Tuesday by the NFL. The opener is Sept. 9 against the Chiefs. Eight days later, Atlanta takes on the Broncos and their high-profile new quarterback in a Monday night contest at the Georgia Dome. There are two other prime-time games in Atlanta: Dallas on Sunday, Nov. 4, and NFC South rival New Orleans on Thursday, Nov. 29. The Falcons travel to Detroit to face the Lions on Saturday night, Dec. 22. Atlanta gets a home rematch Dec. 16 against the Super Bowl champion New York Giants, who knocked the Falcons out of the playoffs last season. 1 Sun, Sept. 9 at Kansas City Chiefs FOX 1 p.m.
2 Mon, Sept. 17 vs. Denver Broncos ESPN 8:30 p.m.
3 Sun, Sept. 23 at San Diego Chargers FOX 4:05 p.m.
4 Sun, Sept. 30 vs. Carolina Panthers FOX 1 p.m.
5 Sun, Oct. 7 at Washington Redskins FOX 1 p.m.
6 Sun, Oct. 14 vs. Oakland Raiders CBS 1 p.m.
8 Sun, Oct. 28 at Philadelphia Eagles FOX 1 p.m.
9 Sun, Nov. 4 vs. Dallas Cowboys NBC 8:20 p.m.
10 Sun, Nov. 11 at New Orleans Saints FOX 1 p.m.
11 Sun, Nov. 18 vs. Arizona Cardinals FOX 1 p.m.
12 Sun, Nov. 25 at Tampa Bay Buccaneers FOX 1 p.m.
13 Thu, Nov. 29 vs. New Orleans Saints NFLN 8:20 p.m.
14 Sun, Dec. 9 at Carolina Panthers FOX 1 p.m.
15 Sun, Dec. 16 vs. New York Giants FOX 1 p.m.
16 Sat, Dec. 22 at Detroit Lions ESPN 8:30 p.m.
17 Sun, Dec. 30 vs. Tampa Bay Buccaneers FOX 1 p.m.